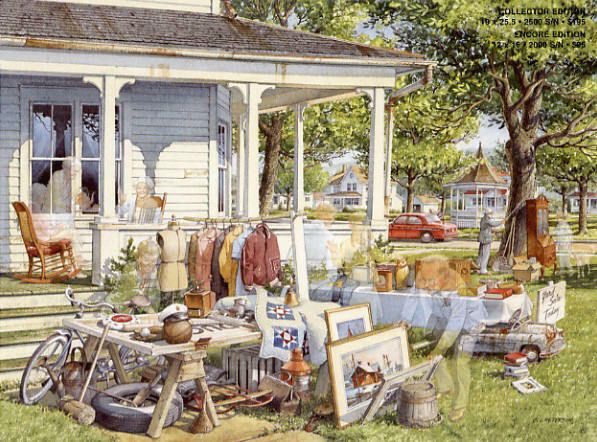 Charles L. Peterson ~ Yard Sale ! isn't that the letter jacket from "One on One"? And the mankin from"Stitch in Time"? Geez! And the old barber from "First Haircut"? This ain't no ordinary Yard Sale! 2500 signed and numbered 19" x 25.5"
2000 signed and numbered 12" x 16"